NovoScav has been specially developed to scavenge oxygen. Thanks to the extensive product range, you will always find an appropriate oxygen binding and passivation solution, whatever type of boiler system you are using. 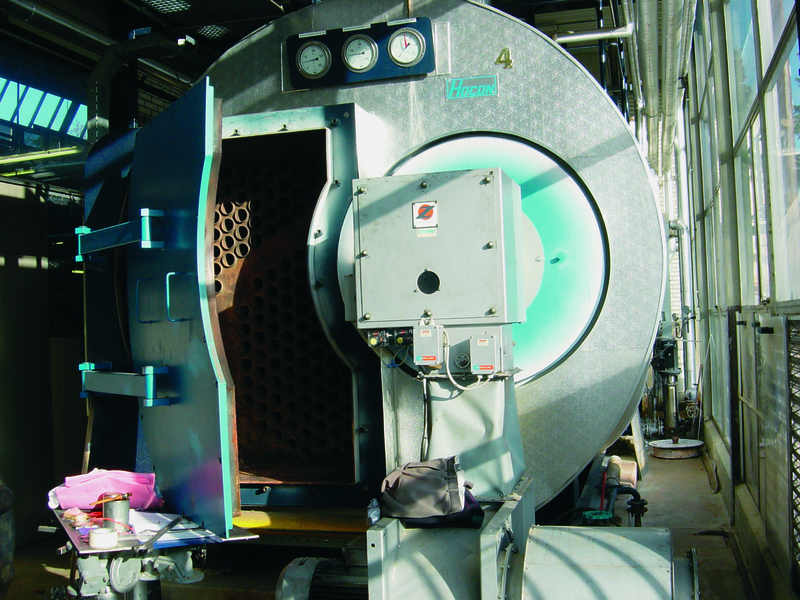 Boilers produce steam by evaporating water under high pressure and at high temperatures. As only pure water evaporates, the concentration of salts in the remaining boiler water increases significantly, which can lead to corrosion and deposits. A build-up of hardness salts (scale), for example, results in reduced heat transfer and corrosion can occur underneath such deposits. Scale can also lead to overheating, which can cause leaks in fire tubes. Another common problem encountered in boilers is oxygen corrosion. All these problems can be dealt with by treating the boiler water. This involves softening and degassing the water, as an effective pretreatment, and adding a boiler water treatment product to bind any residual hardness salts, oxygen and carbon dioxide, for example. Carbon dioxide causes carbonic acid corrosion in the condensate network. The rate of corrosion can also be reduced by using oxygen binders that react with dissolved oxygen. Sulfite and bisulfite ions are examples of oxygen binders that react with oxygen to form sulfate. Volatile corrosion inhibitors, such as film-forming and neutralising amines, can also be used. Film-forming amines create a film layer on the metal, blocking anodic and cathodic reactions. Neutralising amines react with carbonic acid (resulting from carbonate and bicarbonate decomposition in the boiler or originating from the feed water itself) to form a harmless neutral compound. Would you like more information on NovoScav? Please feel free to contact us!